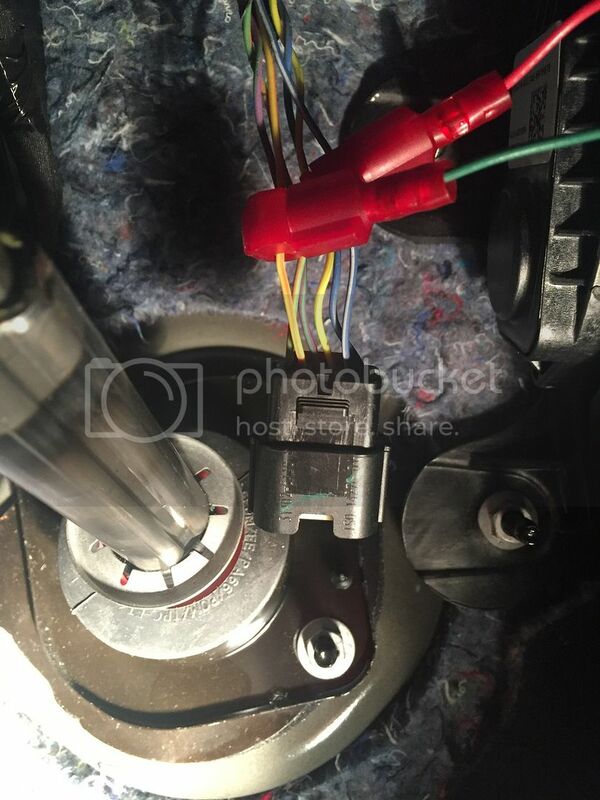 This thread is for installation and calibration instructions for the S550/GT350 Mustangs. I have mine sitting here and plan to install it the weekend before Easter. I'll install mine in the coin tray to the left of the steering column and run the cable out the back. 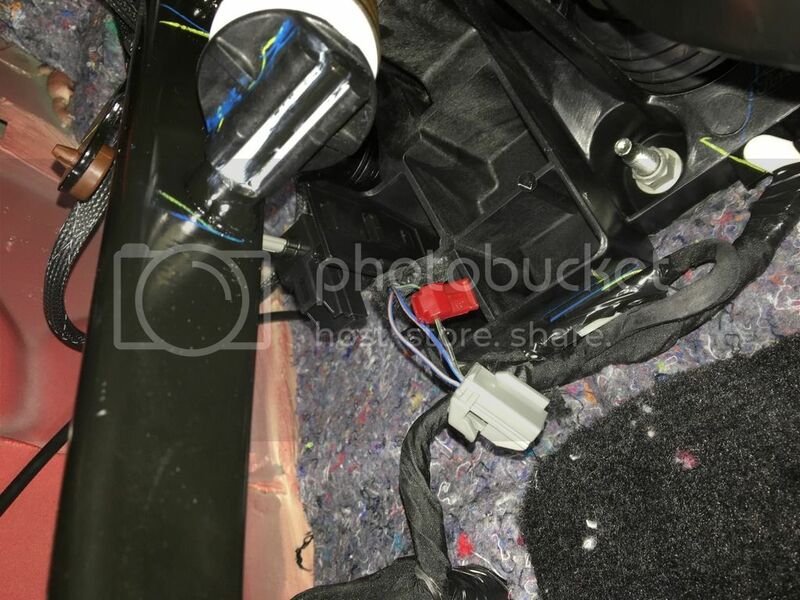 For anyone installing an AB I recommend that you remove the drivers seat to give you better access to under the dash. The seat comes out easily with four T-50 Torx bolts that use 35 ft lbs of torque when reinstalling. Please remember to disconnect your battery before removing the seat. 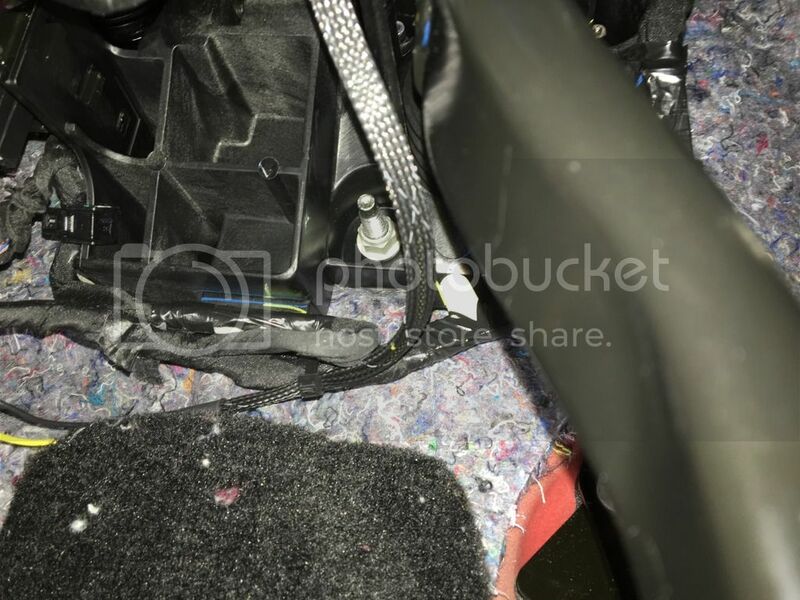 Ford now uses one connector under the seat instead of two and the S550 seat is easier to remove than the S197 seat. Also place a towel or old blanket over your door sill so you don't scratch it when lifting the seat out. 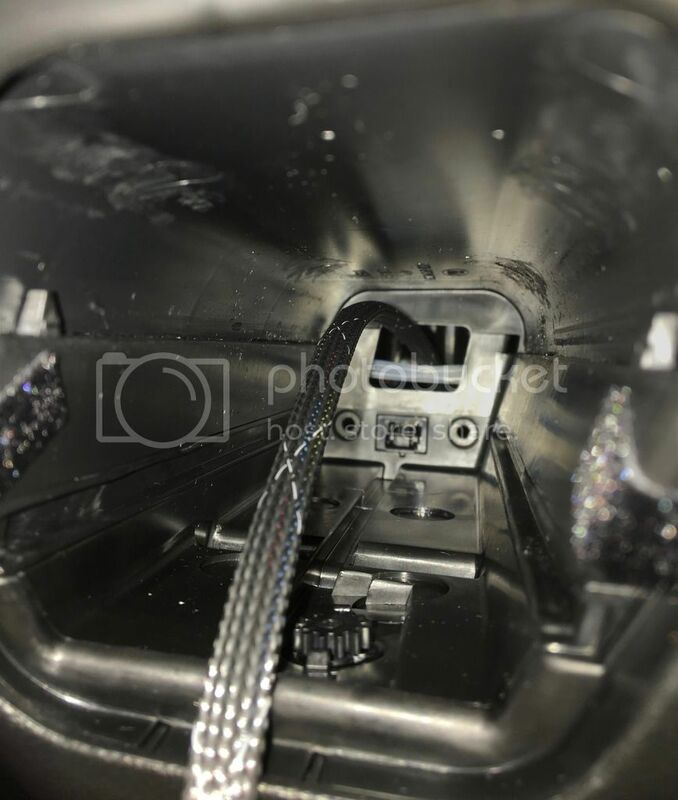 Info from ChopSui's GT350 install. 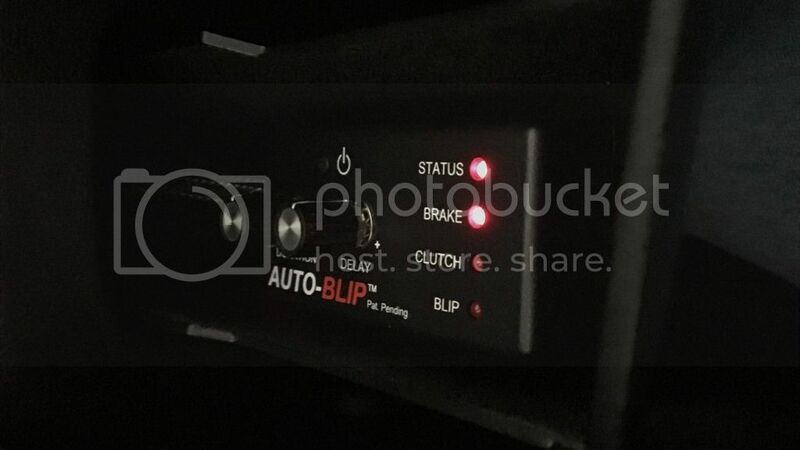 Well, I got the auto-blip installed today but when I finished calibrating it, the 'blip' light kept flashing. 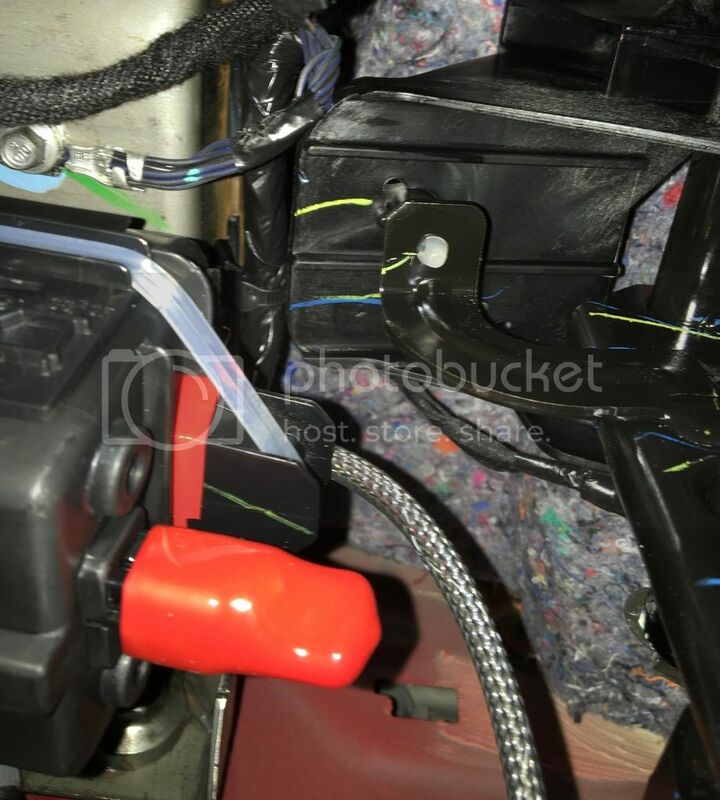 Something seems to be wrong with the throttle connection. I'm pretty sure I got the right wires tapped but either there's a bad connection or the colors don't match the manual. "Quick update - I found the following in the original Boss auto-blip thread. This is exactly what I'm seeing. I'll check it out tomorrow evening and if everything works out, I'll post up a diagram of the wires so colorblind people like me wont get confused. Ok I got to calibration and did the throttle on/off, brake on/off and clutch on/off but when I push the on off for the final time the blip lightl blinks continuously. The brake, clutch, blip and status lights now seem to work but the throttle doesn't blip and my car actually lost throttle control and the little wrench warning light lit up. I shut the car and the unit and restarted, car is normal with the unit off so I am leaving off. Must be the wrong blue wire with white stripe on the throttle that I tapped. There is another blue in the harness but no white strip on it. Hope Andreas and Cathy can help me. Hello Steve - There are 6 inline wires on the APPS - make sure that you are tapped into the 2nd and 5th wire - counting from either side, it doesn't matter. I'm looking into this - one wire is a silver/blue the other is white blue. I suspect this may be causing some confusion. So for now, just make sure you are tapped into the 2nd and 5th. After you make this change, please rerun calibration sequence. 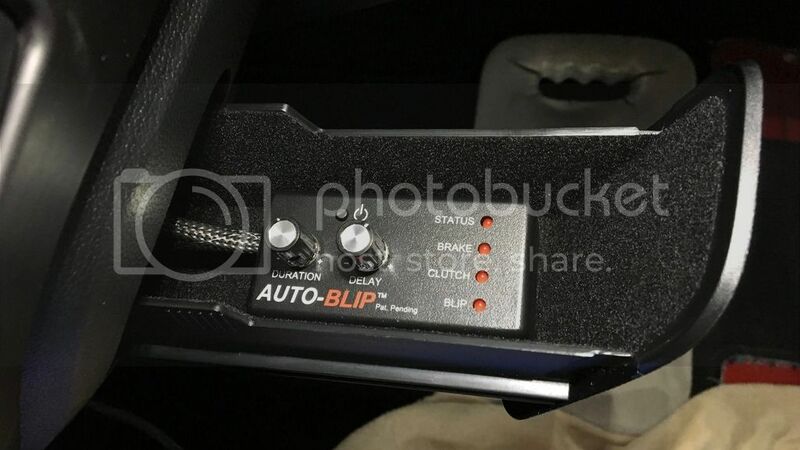 The reason the blip LED was blinking after calibration is to let the user know that the calibration for the accelerator pedal position sensor failed. If you have any questions or problems at all - please call us at 602-845-9195. Well that was it. In my case, the yellow/orange wire was not the right one. I connected it to the solid yellow wire, which was the second wire to the end and everything works. Can't wait to try it on the track! 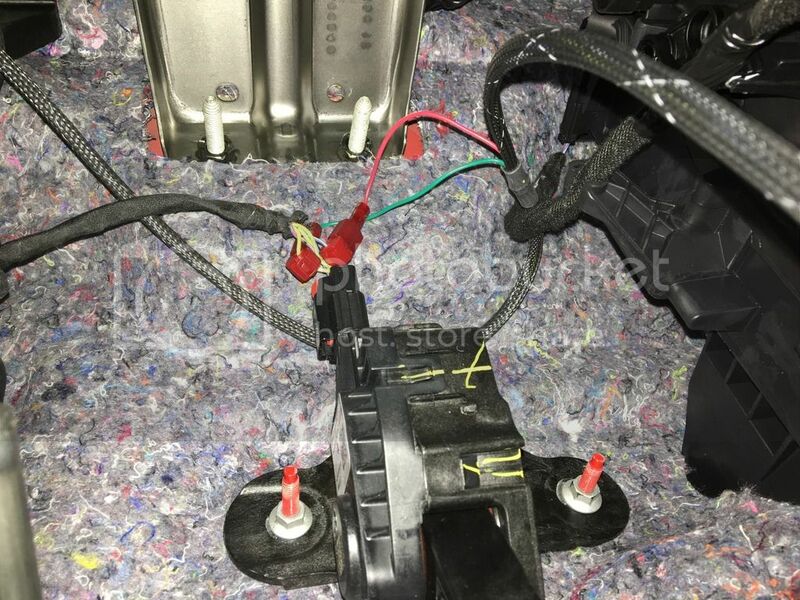 The only way to see how the wires are connected is to unplug the connector from the pedal assembly. On my car, the solid yellow wire was in position 2 and the blue/white wire was in position 5. APPS wire plug with the wire side facing toward you and the red tab on the bottom. 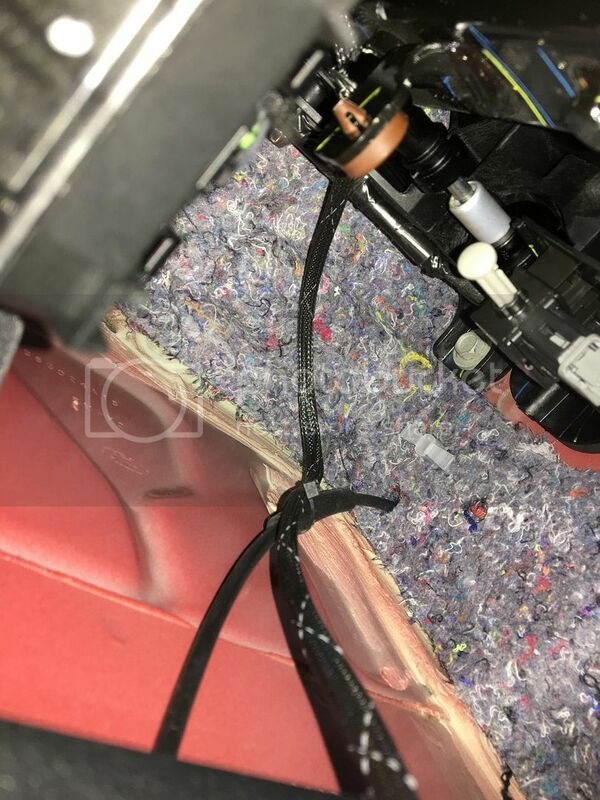 NOTE: According to the Auto-Blip guys, it doesn't really matter which way you have it so long as the second wire from the outside on each side is used. 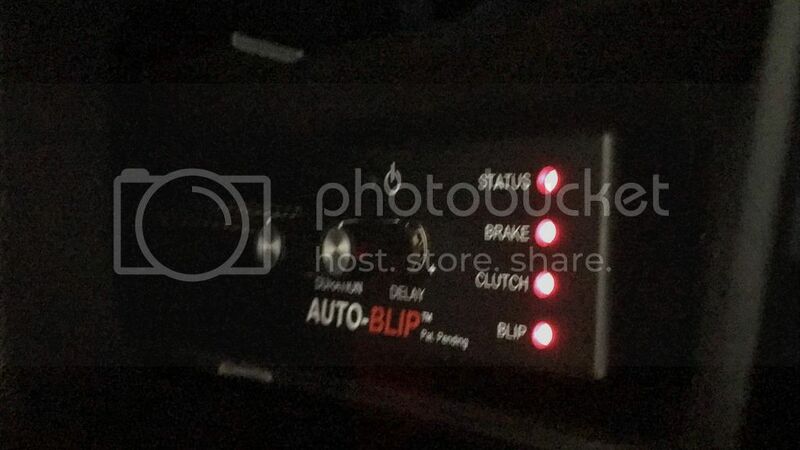 After calibration, with Auto-blip powered on, Status light is solid, clutch light flashes with no ignition. With Aux power prior to start up, clutch light stops flashing and goes out, status light is solid -- same with engine running. Both Clutch and Brake lights come on with pedals pressed. Blip works, but seems to have less duration than on the Boss install. Here's where I put mine. 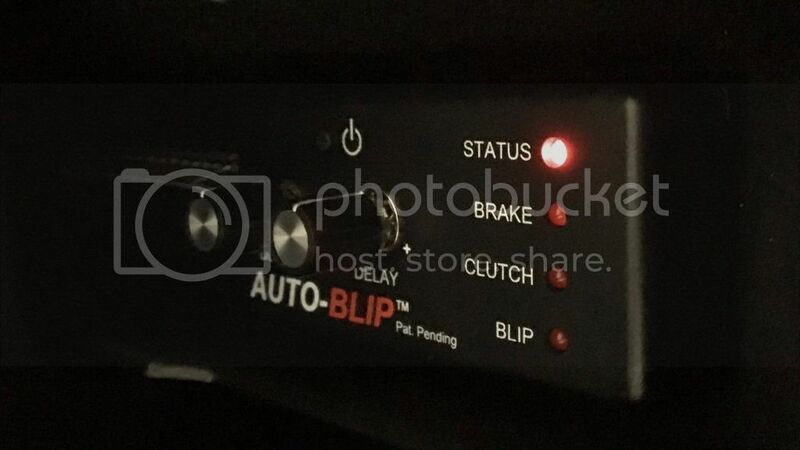 Um, what's an AutoBlip? ??? I originally had mine in a similar location on my Boss and hit one of the knobs with my knee and broke it off. Be careful. AB is a rev matching device. Click on their ad to the right and read up on it. I got my AUTO-BLiP installed today in my 2016 GT350 Track Pack. Got it calibrated and working the first time but I've installed one before so I know to read the instruction carefully and go slow. It was raining this afternoon so I haven't driven it yet but it appears to be working properly. A couple of install notes before the photos. First is both the clutch and brake have two wires that are the same color. Thanks Ford. 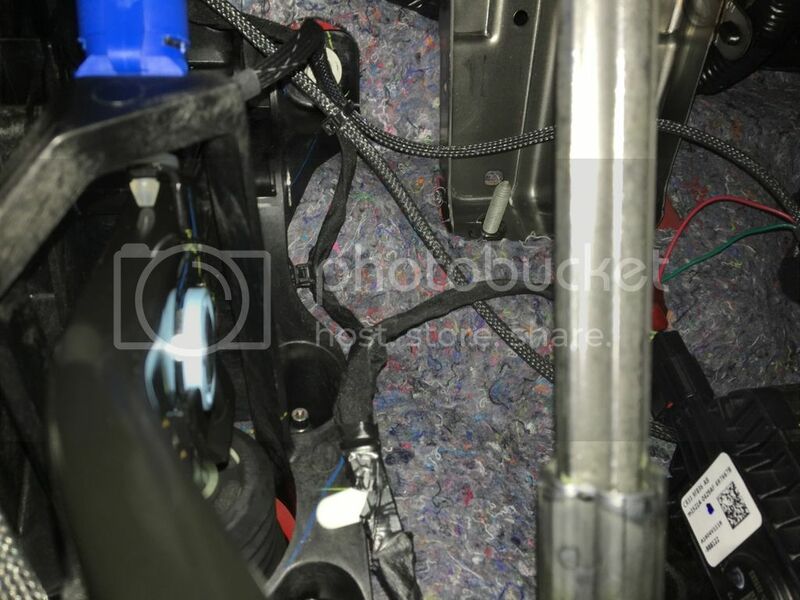 Anyway there are two purple/white wires on the brake and two blue/orange wires on the clutch sensors. You can use either wire and you'll be fine. You should plan at least a couple of hours for the install and possibly more. This is not something that you're going to knock out quickly so give yourself plenty of time and take it slowly. 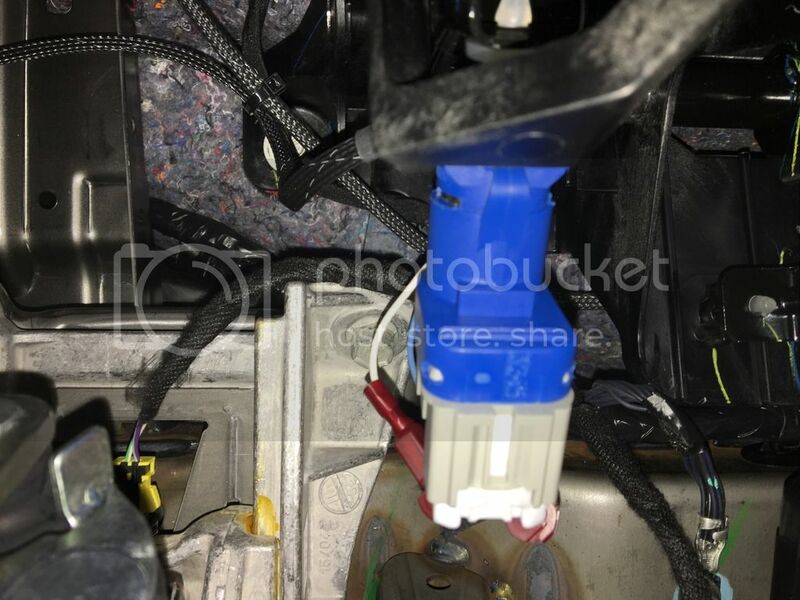 Start by disconnecting your battery and then completely remove the front seat. 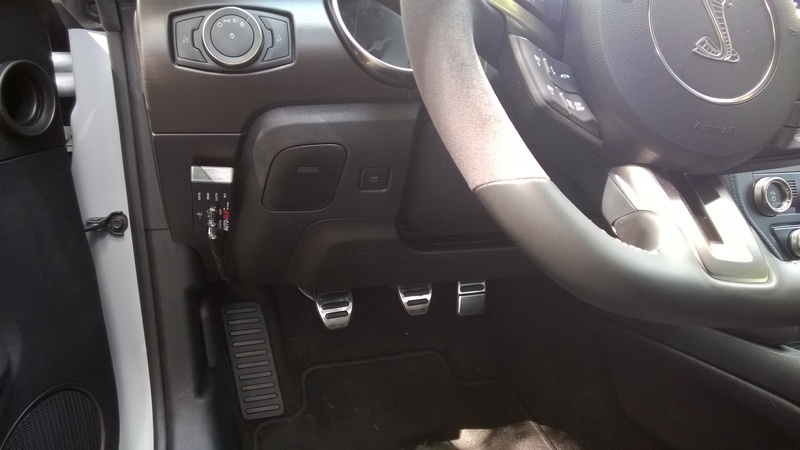 I installed my AB in the coin tray to the left of the steering wheel. It fits perfectly and there's plenty of room to run the cable with no cutting of the tray or dash. I used the attached velcro to hold the control box in place and ran the cable out the back. To remove the tray you push in on the sides a bit and wiggle it around and it will come loose. Once removed there is a couple of clear elastic bands that put tension on the back of the tray where there is an extension at the back. Run the cable above the bands and tape the wire to the extension to keep it in place. I installed my AB in the coin tray to the left of the steering wheel. I thought that was a sunglass holder...that's what I use it for, anyway. nice job on the install. 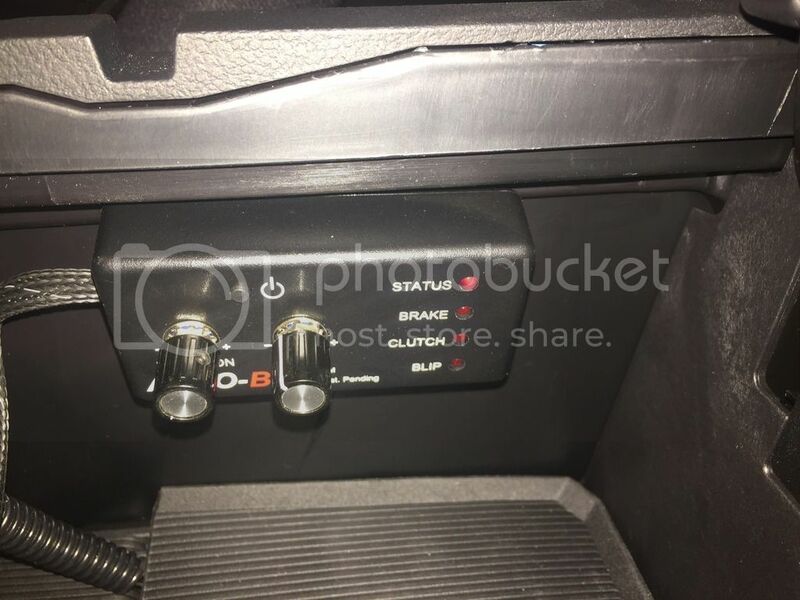 I got my AUTO-BLiP installed today in my 2016 GT350 Track Pack. Got it calibrated and working the first time but I've installed one before so I know to read the instruction carefully and go slow. What the hell is that suppose to mean? I am slow and instructed the AB carefully. Just because it took me three tries to calibrate. ??? Honestly, It actually took me two weeks before I found that tray. Looking forward to more drive reviews on this blip rev match thing! Ha! 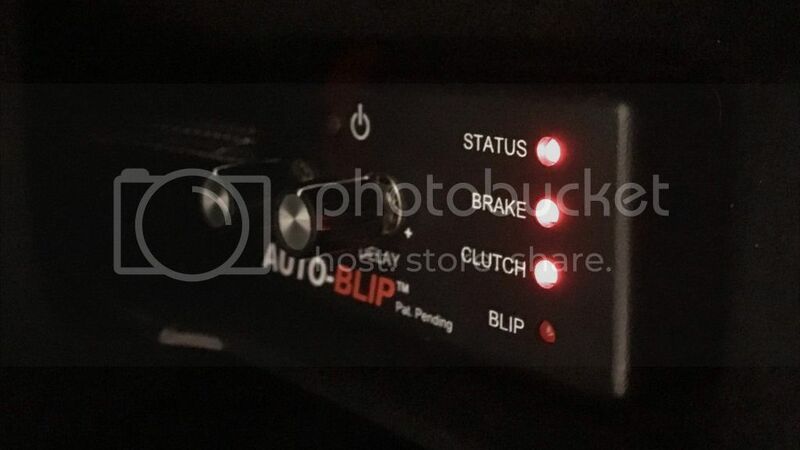 Well it works perfectly for the Auto-BLiP! I drove my car today and confirmed the AB worked perfectly. I was able to open the tray, turn on the AB and adjust the knobs while driving without looking at it. I'll be testing it out on track this coming Monday so stay tuned for more updates. Anyone else had an Auto-BLiP on track in a GT350 yet? I've had mine out several times and I love it. No problems whatsoever. As a members of TMO, we will give you a $20 discount when purchasing an AUTO-BLiP directly from our website! Simply let us in the comment section when placing an order and we will give you the discount when we process your order. If you have any questions please do not hesitate to contact us via email at info@tractivetechnology.com or phone/text 480-788-6748. Got mine done today, installed it like Rick in the sunglass drawer. 1 1/2 hours works perfectly. Ford should add this programming to the next generation Mustang. 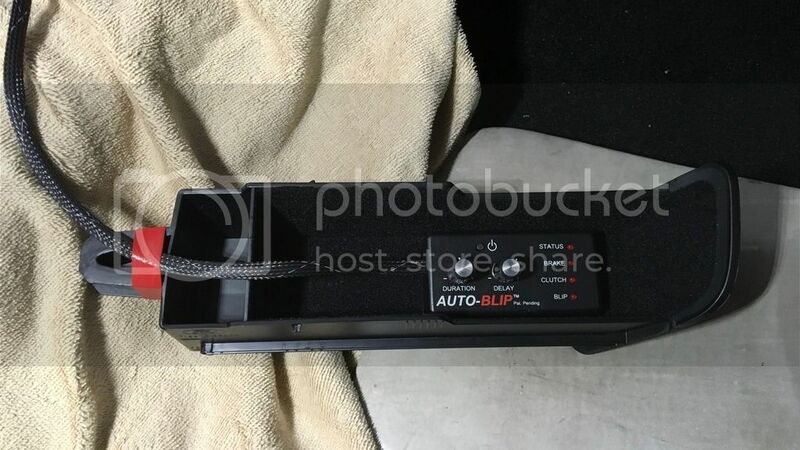 I installed my Auto Blip last night and thanks to this thread I was successful the first time. Are you guys turning the AB off each time after driving or do you just let the 6-hour auto off function do its job? It tune it on when I arrive at a track and off before I leave. I never use it on the street. So with my Boss and my GT350 this is my favorite mod. It's amazing how relatively simple this device is yet how well it works.